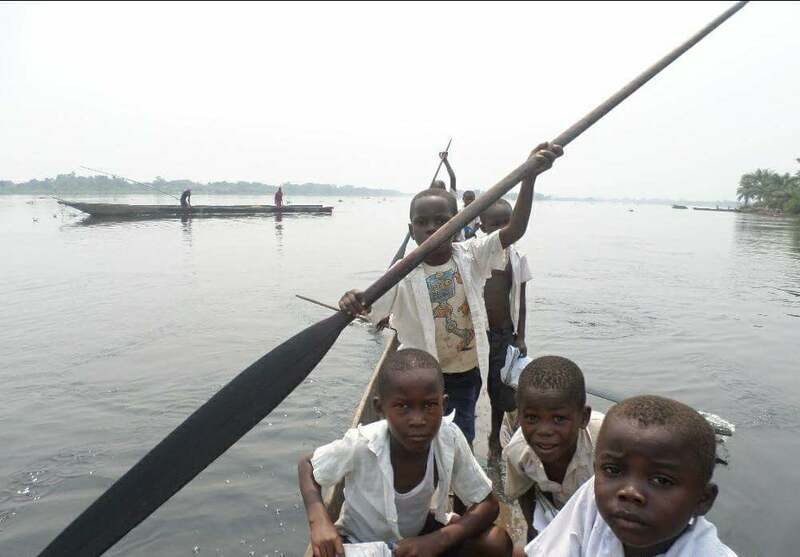 It was the news that nine school children had died when their canoe overturned on the Congo River that spurred local activist Elozi Lomponda to set up the charity Des livres sur les pirogues. “This event deeply affected me. I thought it’s not possible that children have to die on their way to school; I had to go there and do something,” says Lomponda, who lost two of her second cousins in the tragedy. While raising money to build a school that would save 600 children from having to undertake the perilous journey, the charity is already carrying out water safety campaigns and equipping kids with life jackets. Thanks to a private sponsor, they are also purchasing a 50-seater motor boat. 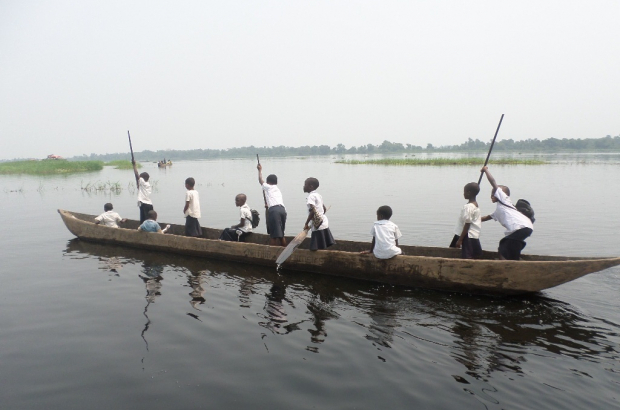 The island area around Mankanza in the Equateur province of the Democratic Republic of Congo is a poor and disadvantaged fishing community of 180,000 people with around 15,000 children using the river to travel to school. Between 2006 and 2011, 1,570 pupils drowned during their school journey. The second longest river in Africa, known as the fleuve in French, is a mythical stretch of water that is both a life force for the region as well as a key transport network. Parents build dugout canoes for their children but cannot accompany them because of their need to work. From about eight years of age, the children set off - five or six per canoe - paddling for an hour each way. “They’ve barely eaten in the morning, they can’t manage the weather conditions and around 70% of them cannot swim,” says Lomponda, who points out that animal life and extreme temperatures are additional dangers. Instinctively revolted by the idea of young people risking their lives to gain an education, Lomponda set off the DRC, accompanied by some friends. They took an internal flight from the capital Kinshasa before a seven-hour journey up the Congo River. Their destination was a barely accessible encampment of villages that has mushroomed around the local fishing industry. Although of Congolese origin, Lomponda’s knowledge of the country was restricted to its capital. Fortunately she speaks Lingala, the local language. 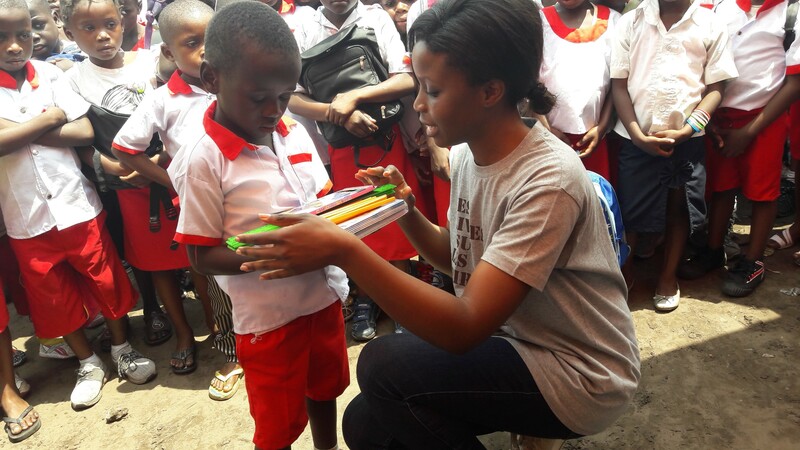 “We spoke to the children and they explained their daily life, living on islands in fishing camps and needing to study somewhere else,” she says. Lomponda and her team had chosen a site for a new school, but the mission changed when they saw that there were already schools in the area. “We realised that the priority was to save lives,” she says. The charity’s main objective is now to construct a local school on a nearby island where there is no such facility and to build it on stilts because of the risk of flooding. In the meantime they have launched a project in collaboration with an existing school, providing much-needed materials and installing running water and toilets. With the water safety campaign also underway, they received a major boost when YouTuber Math se fait des films! was inspired to sponsor a motor boat. The wider implications of supporting rural communities is never far from Lomponda’s mind. "At a time when there is often talk of migration, I think that it is important to keep in mind that the reasons why people leave their countries are due to war, but also to the fact that they do not find opportunities to live decently,” she says. "The objective of our charity is to enable these people blossom in their own communities, help them reach their full potential in the locality they were born in. We are determined that this will be a long-term sustainable project." Lomponda is also concerned that families frequently send their children to relatives in a nearby city or the capital with not always a positive outcome. “They dream about city life since childhood, but I’ve met children who have taken this path and it’s risky as they can end up on the streets,” she says.